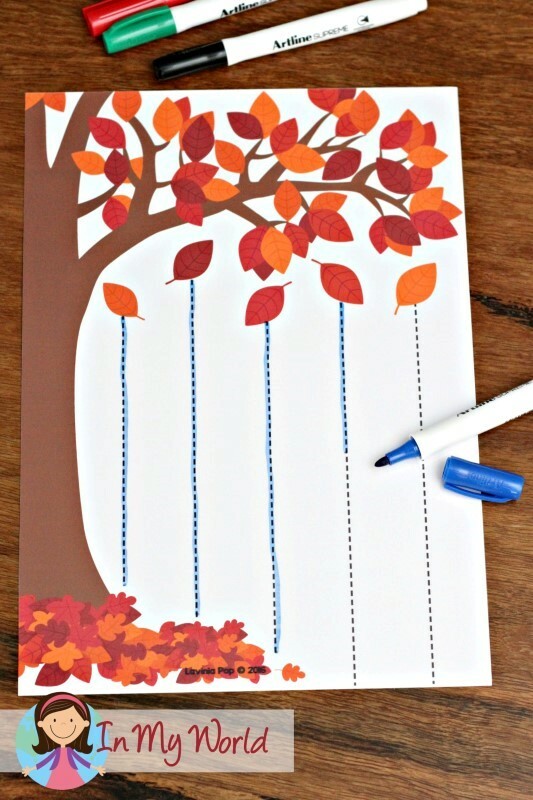 To begin, I included an autumn leaf fine motor practice mat. We all know how important it is to build those fine motor muscles, right? I used red and orange buttons for this mat, but you can use anything that fits inside the circles. Of course, I included some horizontal pre-writing tracing cards too. 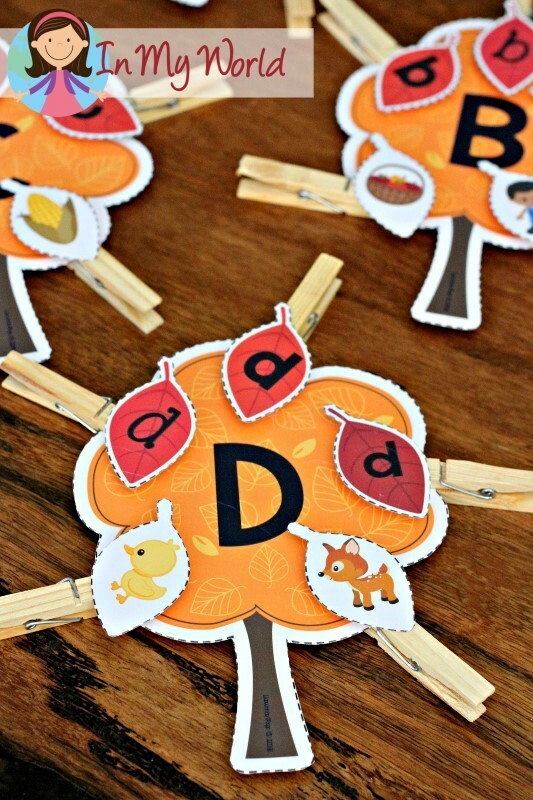 I also included some autumn themed alphabet tracing cards. 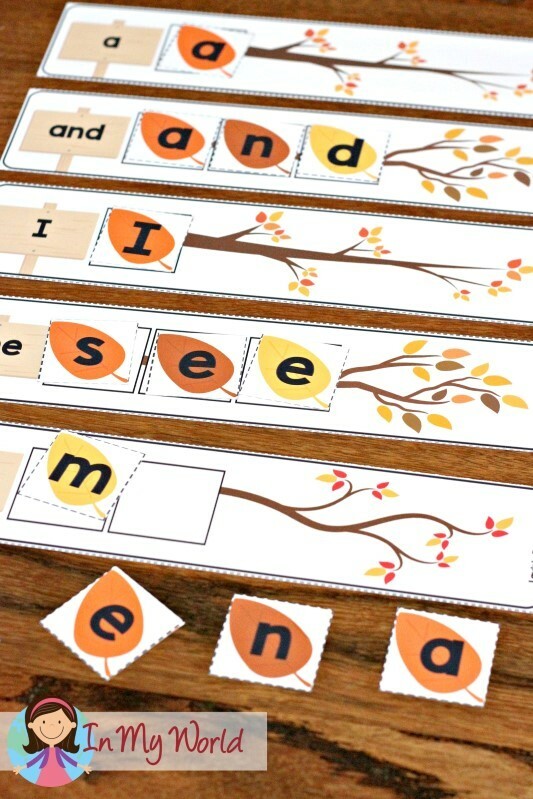 Each card displays an autumn related picture and each upper and lower case letter displays correct letter formation with a red dot to show the starting point. To secure the cards together, I made a hole with a hole punch in each card and strung them onto a key-ring. 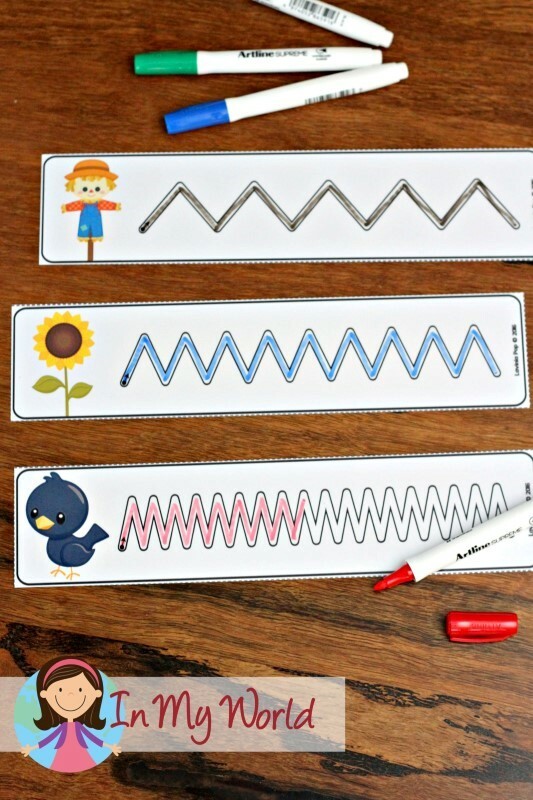 I also made an upper and lower case matching activity and, if your kiddos are ready for it, you can add the beginning sound pictures too. 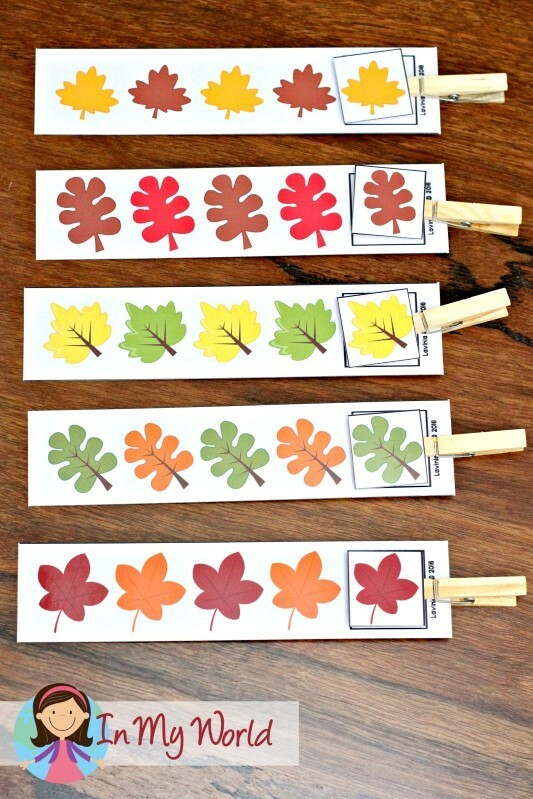 If you’d like to work on fine motor muscles, just glue the leaves onto some clothes pegs, as I did. Two words: sight words. Kiddos need to learn them to read, right? 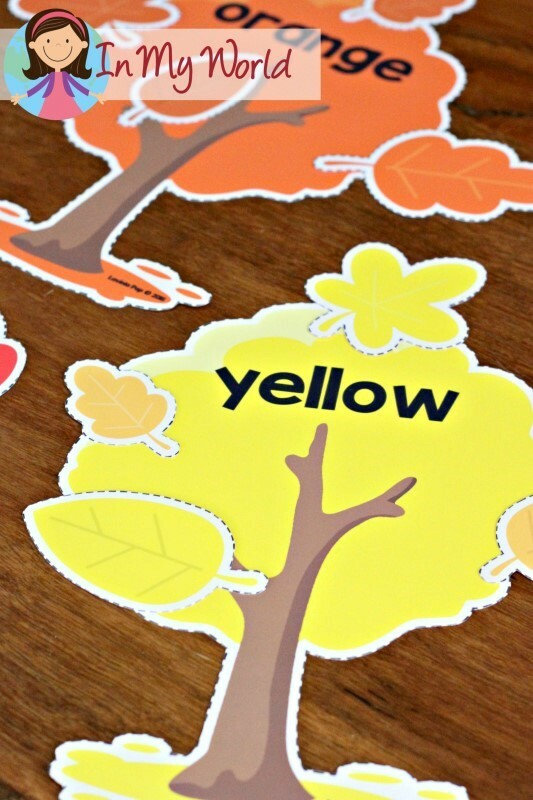 This Preschool Autumn Centers set includes a total of 40 words to help get your kiddos started! The focus is on 1-1 correspondence and letter order. Next up, are number tracing cards for numbers 1-10. 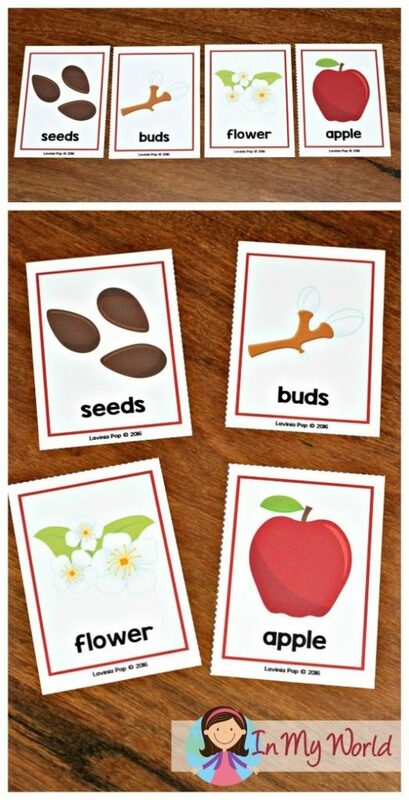 Each card displays a picture of an apple half with the number of seeds displayed on the card. These cards also show correct number formation with a starting dot. I decided to also include an actual apple seed counting activity. I have included apple seed pictures which you can use or, if you prefer, you can use real apple seeds. 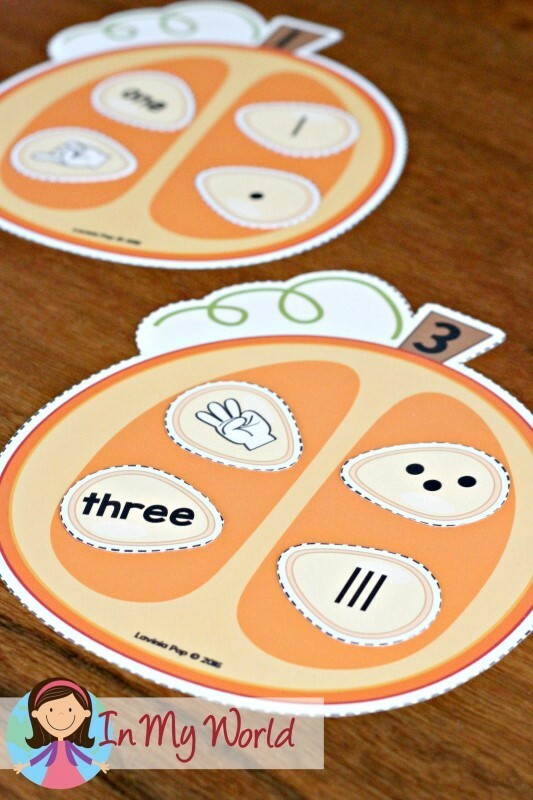 I think my favourite activity from the Autumn Preschool Centers packet is the pumpkin seed number sorting activity with different number representations. 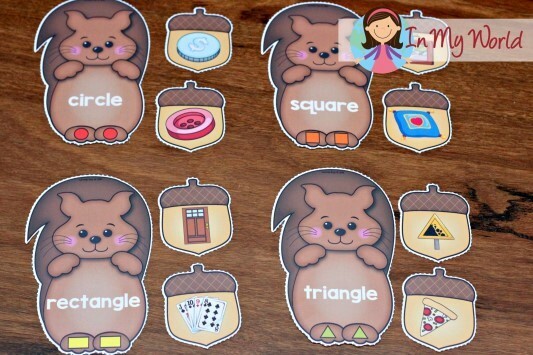 Also included is a squirrel and acorn shape sorting activity. I decided to use shapes in real life in this packet. Colour matching is a must for any preschool packet. Especially autumn colours! This packet includes all colours, but you could use only the red, orange and yellow tree and leaves if you wish! … that can be made “self-checking” by adding a dot on the back of the correct picture. I have also added a set of “What doesn’t belong” cards. 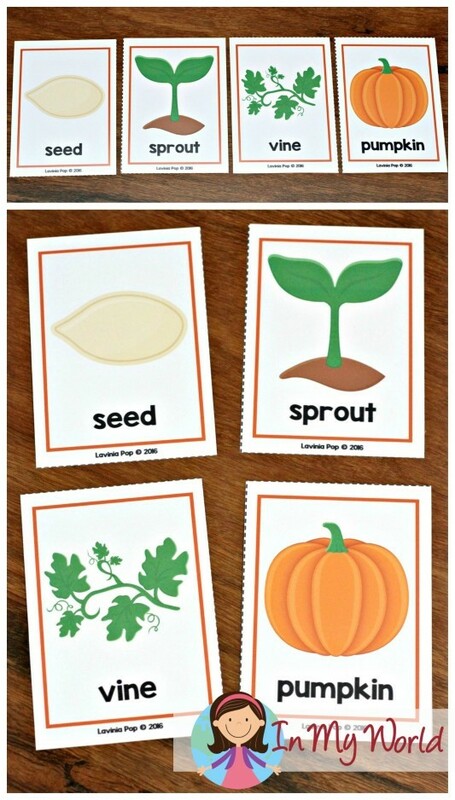 And, to finish, I included some sequencing cards to show the life cycles of an apple and pumpkin. Thank you so much for stopping by to check out this resource! I hope it’s something that your kiddos will love and enjoy using! Please note, this Autumn Preschool Centers post contains links to a some sample pages from the unit. To purchase the complete unit, please click the picture below. Love it!!!! 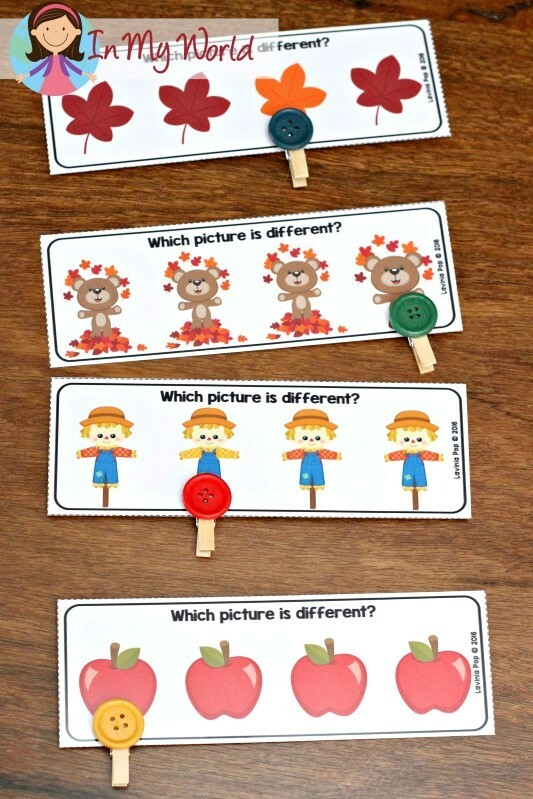 Beautiful images and great ideas for centers. Fall is in full swing here in New York! The leaves are almost at full peak. Thank you for creating this fun and colorful packet. Love it… So cute… Well done!!! 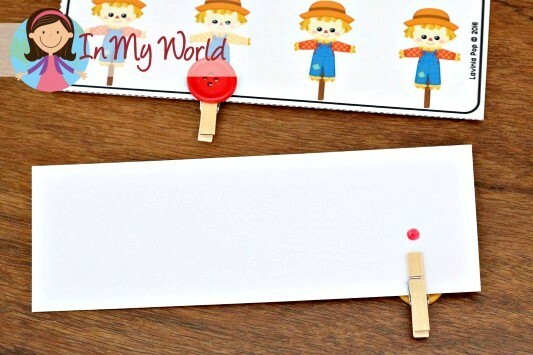 do you have a place where you can get all letter tracing cards and all number tracing cards? Awesome packet.I am so excited to put it all together…(well actually you did all that!). 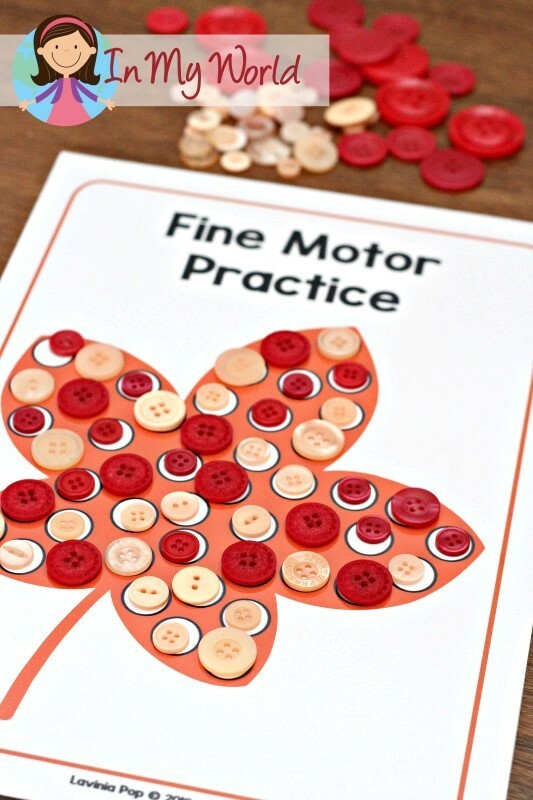 I just cannot wait to print and laminate and observe the children engaging in the wonderful centers.They will love it. I’m so glad you like it! I hope your children have lots of fun with the centers! Hi again. I am from Canada …the northern country in North America…above the U.S.
We also have fabulous autumn foliage with magnificent colours. Looking forward to using this activities with my students!!! Thanks for sharing!!!! Is there a way to get just the autumn tree color sorting game in more colors without buying the whole bundle? I’m sorry, but they are only available as part of this packet. You can access the complete resource by purchasing the product. Is there any way I can get the fall activities for free please. Can I purchase just the pumpkin seed number sort? Angelena, I’m so sorry, but they are only available as part of the packet. 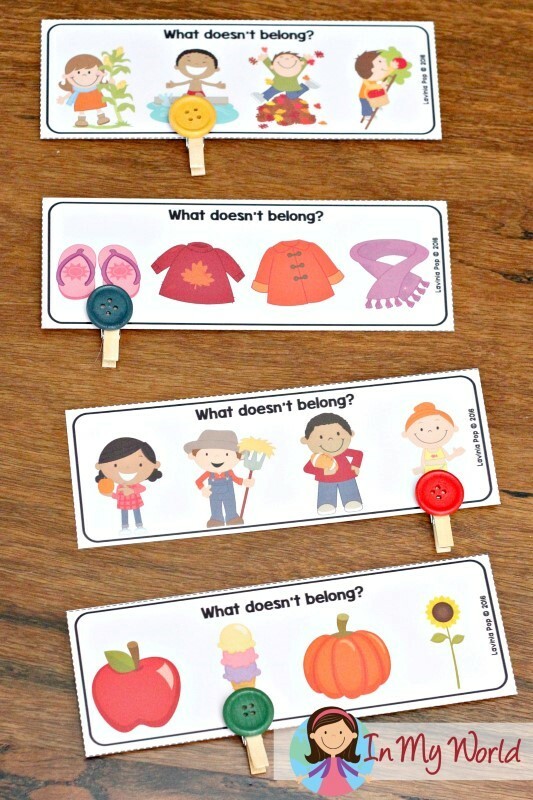 Hi, where can I get the autumn sequencing cards? I love your work, it’s really wonderfull! How do I get the fall activity package?